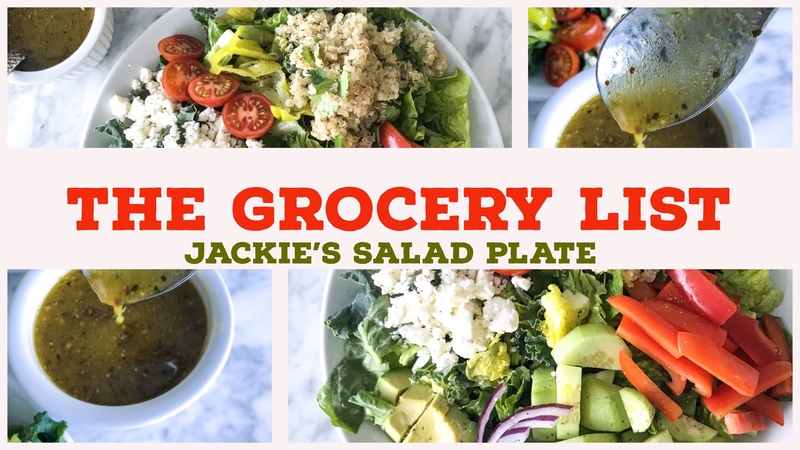 What if I told you that you can make this bountiful, leafy green salad for 5 Bucks in just 5 minutes (with some prep work ahead of time)? Wouldn’t you jump for joy? Heck yeah you would! 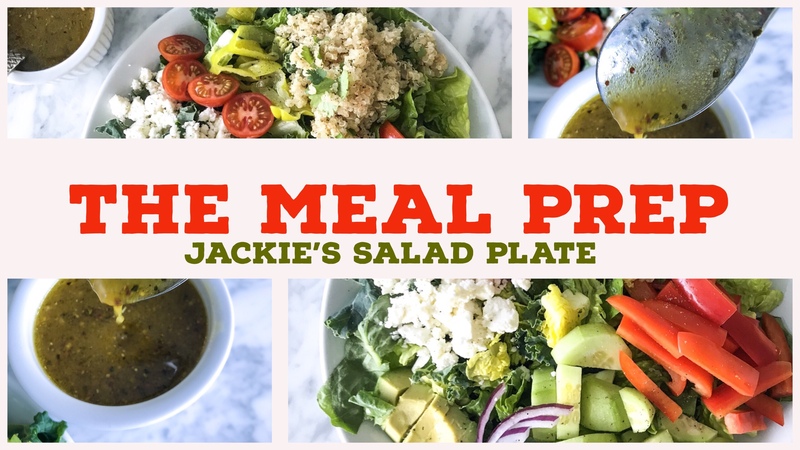 Not including a couple pantry staples and depending on whether you buy organic items or not, the produce for 10 servings of this salad (we call it the “Jackie Salad Plate Recipe“) costs approximately $55.00. That works out to about $5 Bucks per salad. 5 bucks per healthy salad is a steal when you consider that the nutritionally wrong Bacon Ranch Salad with Buttermilk Crispy Fried Chicken from the Golden Arches will cost you $4.79. (Let’s set aside the question of whether lettuce with fried chicken, bacon, cheese and ranch is really a salad or merely a deconstructed fried chicken sandwich.) Similarly, a healthier salad option from one of those popular soup chain restaurants will run you $4.50 to $8.00. Given these savings, the “Jackie Salad Plate Recipe” is about to become your kitchen’s best friend and your waistline’s secret weapon. 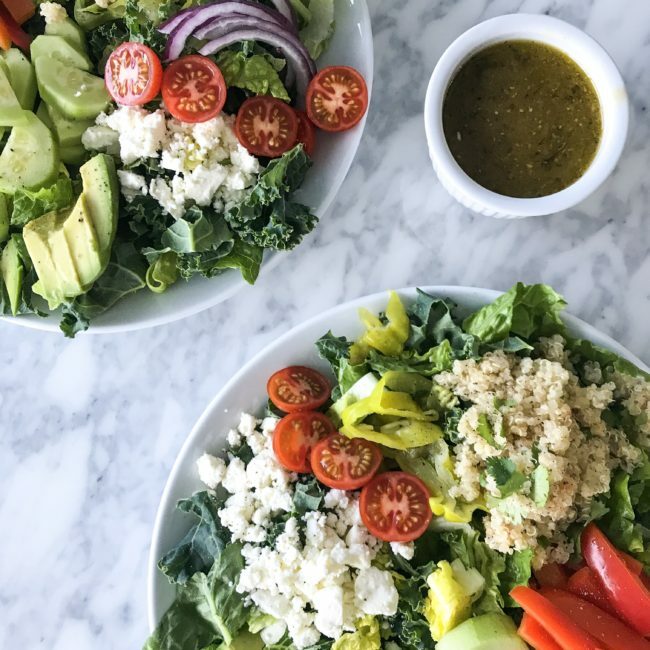 To make this salad, buy the produce (or do as I do and order through a delivery service like Instacart or Amazon Fresh), set aside 45 minutes one day to prep your salad ingredients and then store the prepped ingredients in airtight containers neatly in the refrigerator. 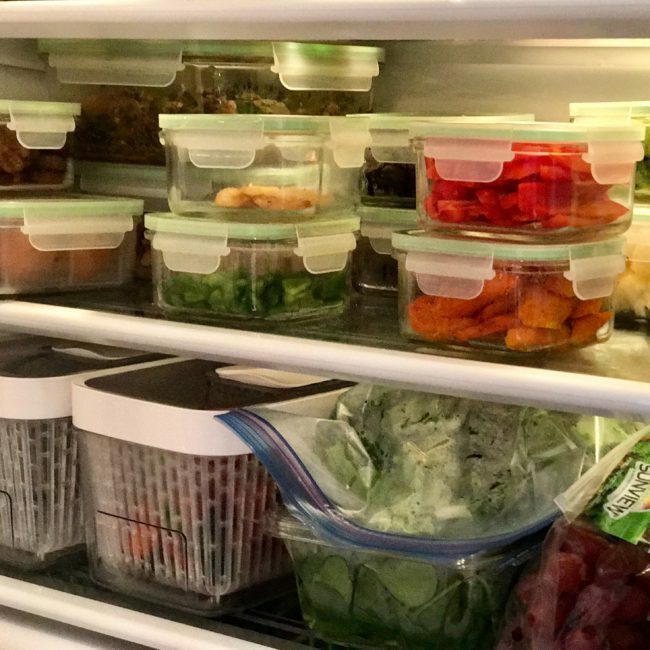 When you are ready to eat a salad, pull your meal prep containers out of the refrigerator, grab a little from each one and then toss everything with the salad dressing. Yep, you’re going make the salad dressing too. Don’t worry. I got you. I wrote an entire blog post on the containers I use below to store food. Click HERE to read and purchase what you need! 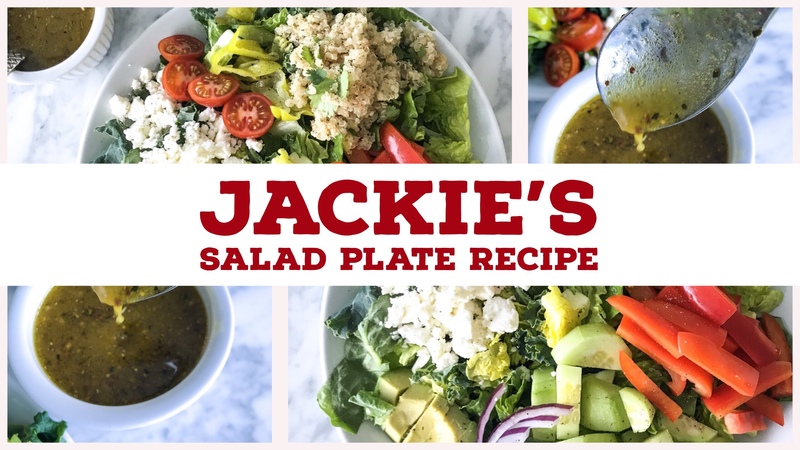 The “Jackie Salad Plate” is faster than takeout, quicker than jumping in the car and grabbing fast food and will likely make you live longer with better energy. 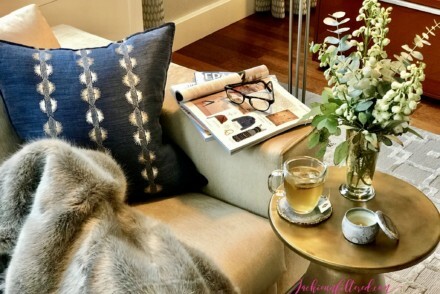 As we say, what’s not to love?!?! Other “Pantry Staple” ingredients needed are olive oil, red wine vinegar, dijon or whole grain mustard, honey, your favorite hot sauce & dried herbs. If by chance you don’t have these items in your pantry, then pick some up on your next grocery run as these are staples of healthy eating. They will become your kitchen besties and pay for themselves over time. Prepare quinoa according to the package instructions. It is a 2:1 ratio meaning 2 cups liquid to 1 cup quinoa. Store cooked quinoa in an airtight container. 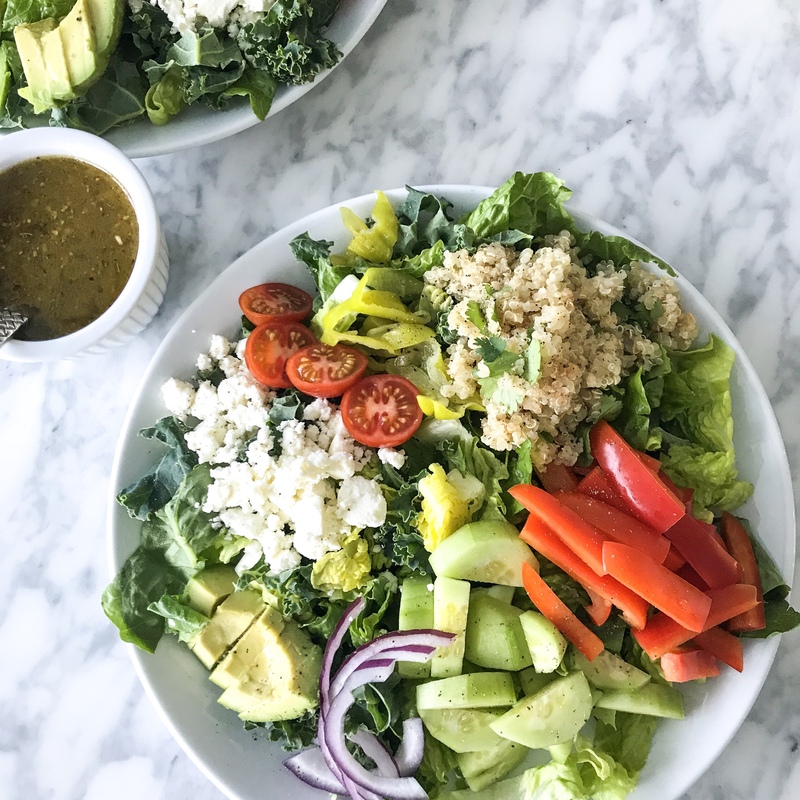 While the quinoa cooks, you will prep the veggies and make the salad dressing. Chop and rinse romaine hearts (I use a salad spinner because it removes the moisture and keeps your lettuce fresh longer). Store romaine in zip lock bags or sealed containers with a clean paper towel to absorb moisture and keep lettuce fresh all week. Cut red onion in half and thinly slice into half moons. Store in a separate airtight container. Rinse and dry bell peppers. Remove the pith and seeds. Slice into 1/2 inch cigarettes shapes. Store in a spectate airtight container. Peel cucumbers and slice into 1/2 inch slices. Dice the shallot for the homemade salad dressing below. Rinse whatever fresh herb you choose. Carefully dry and chop leaves. Throw away the stems. Store in a separate airtight container. 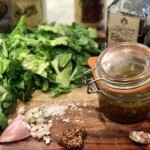 Prepare the salad dressing according to the recipe below. Double the recipe so you have enough for the week. This dressing tastes fricking good on just about everything from vegetables to pasta, chicken and any assortment of lettuces. Adjust the flavors to your family's taste preferences. The only musts are the acid to oil ratio, the shallot and the mustard. The shallot and mustard is what give it that finger licking good "aha" taste. Also, make sure you don't skimp on salt and pepper here. Salad dressing must be well seasoned! 1 Tsp Herbs Any kind will do. Mix it up! In a small bowl, whisk together shallot, garlic, vinegar, salt, several turns of freshly ground pepper, honey, mustard and herbs. While whisking, slowly drizzle in olive oil to create an aioli. Gently turn in fresh herbs and hot sauce. Taste and adjust seasonings. If I am serving salad, I always make the salad dressing first and set aside to let the flavors come together at room temperature. 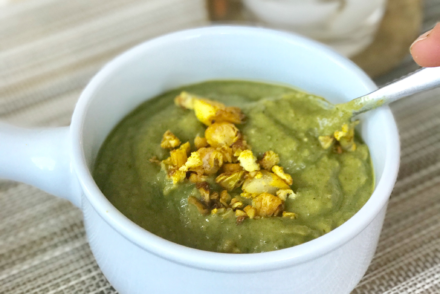 This dressing will keep several days in a sealed container in the refrigerator. The following is for each salad. Double the portions if you want to make 2 salads. The ingredients in the “Grocery List” above will yield at least 10 salads total. Toss the ingredients together in a big bowl and then chow down knowing you are crushing the vegetable eating game right now. High Five. You get extra credit for making it look this pretty! Avocado: Folks feel strongly about this green healthy fruit that has more potassium than a banana. They either love it to death and could eat it aver meal or gag at the very sight of this green flesh. I fall in the middle. I don’t want avocado in my oatmeal but it’s pretty safe at all other times. 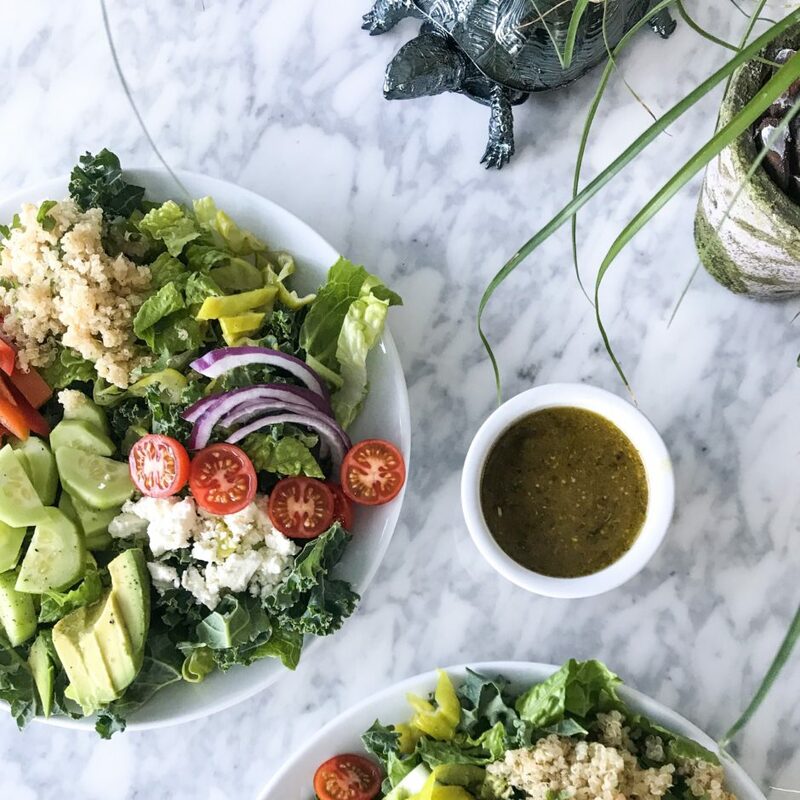 If you absolutely hate avocado (you don’t even taste it here in this salad) then you need to swap it for something else that high in soluble fat like Greek yoghurt, coconut flakes or raw nuts. Peppers: Think of the peppers here as your #FauxCrouton. It’s the crunch in your salad. Maybe try an apple, homemade plantain chip or shaved sweet potato that you broil quickly in the oven. Quinoa: Don’t just leave out the nutritious quinoa and think all is right with the world. This gluten free plant food is high in amino acids, fiber and protein. If you hat quinoa or can’t find it, good substitutes are freekah, kamut, teff, millet, bulgar, buckwheat or fonio. If grains are not your jam then substitute a fish like salmon or tuna. Red Wine Vinegar: Any Vinegar will do so choose your favorite or whatever is in your pantry. Mustard: I like the grainy texture of whole grain mustard but you can choose whatever mustard you love or have on hand. As always, thank you for stopping by Jackie Unfiltered. I am jumping off to make dinner now. Before I go, just want to say that I truly love y’all. 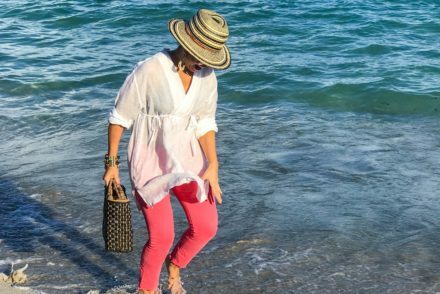 Thank you for taking this health & wellness journey with me!